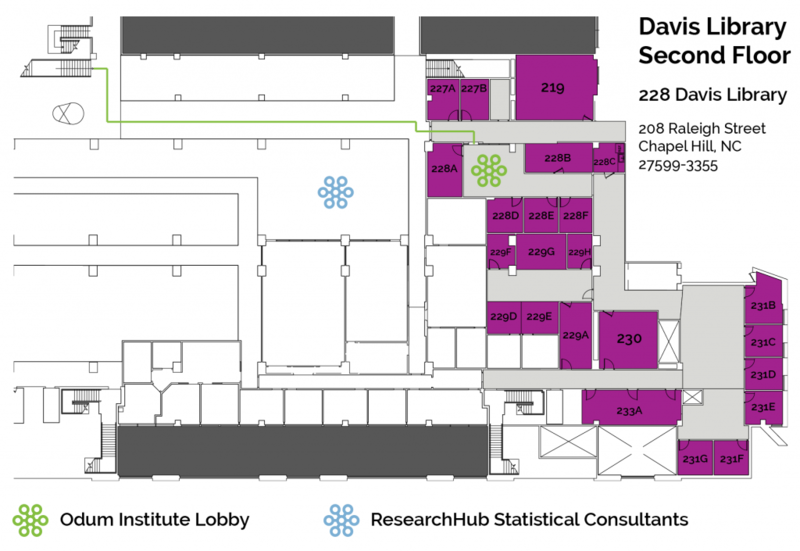 The Odum Institute is located on the second floor of Davis Library, on the University of North Carolina campus at Chapel Hill. Davis is the main library on campus and located between Lenoir Dining Hall and the Student Union, and faces the Pit. Please visit the UNC Department of Transportation & Parking website for information on parking. More information on visiting the university is also available at the UNC Visitor’s Center. Our hours are 9AM – 5PM, Monday through Friday.